Why Does Gas Cost So Much? Why Does Gas Cost So Much?. Is raising fuel taxes further the right thing to do to encourage alternative energy sources? No. 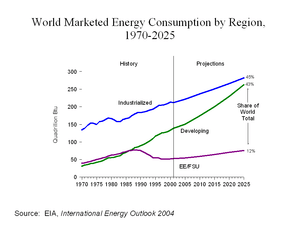 Raising taxes will cause a non-market driven decrease in oil consumption. This decrease in demand will drive down the world price of oil, making it tougher for alternative energy sources to gain market share. Until alternative sources of energy are profitable to produce on an even playing field compared to gasoline, they won’t get to market on a large scale. Many energy experts do not support raising taxes because of this economic reality. What about higher mandated fuel economy standards? Bob gets it. His point is that Americans should drive what they want until they decide the price of fuel is so important that it makes them choose a more efficient vehicle. If one assumes that gas prices will remain high, these elevated gas prices will encourage alternate energy development. Legislating larger vehicles out of existence isn’t the answer. Hey Washington, are you listening?